Organic double cream from the pasture-grazed Riverford Dairy herd. The team use traditional methods to make their organic cream, and use the freshest, unhomogenised organic milk. It has a perfect pouring consistency – or can be whipped into rich peaks for sumptuous puddings. 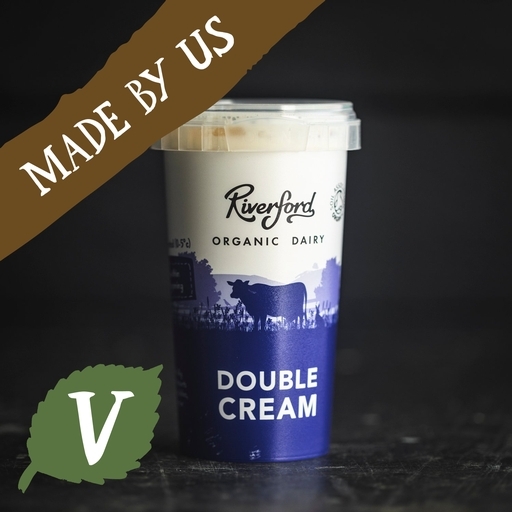 Our double cream is made at the Riverford Dairy. We mess about with our milk as little as possible. The cows are milked every day and the milk is pasteurised.